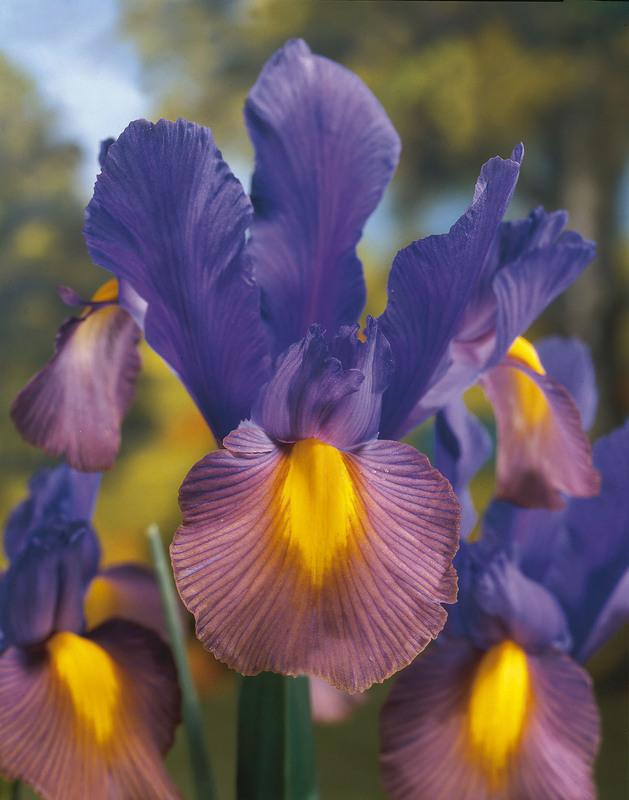 Carefree and rewarding, our Dutch Iris Bulb Collection will provide a unique and sweetly scented mass of color in the late spring garden. 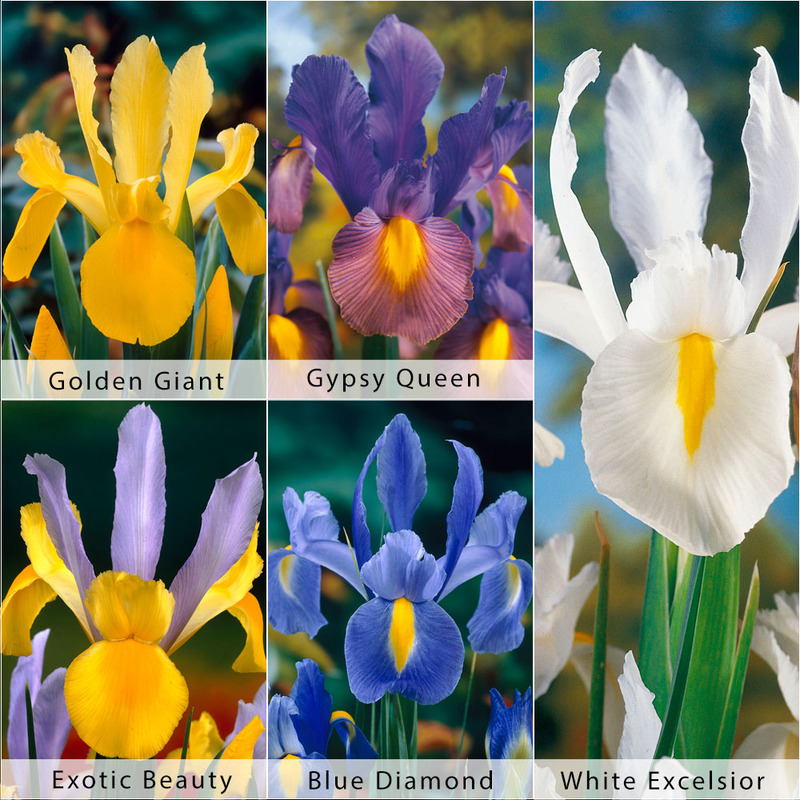 One of the best-known spring flowers, they will create classic combinations in clear, beautiful shades of yellow, white, purple, and even bicolors when planted in borders and beds. With minimal care, these excellent naturalizers will reward the gardener with years of beauty. Select a site in full sun that drains well. Loosen the soil and plant the bulbs 4” deep and 3”-6” apart, placing 5-7 bulbs in the same area. Water once after planting. In colder regions where the ground freezes, cover the area with a layer of mulch. 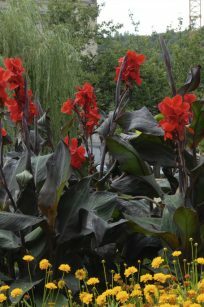 After the flowers bloom, permit the foliage to ripen and turn yellow before removing. 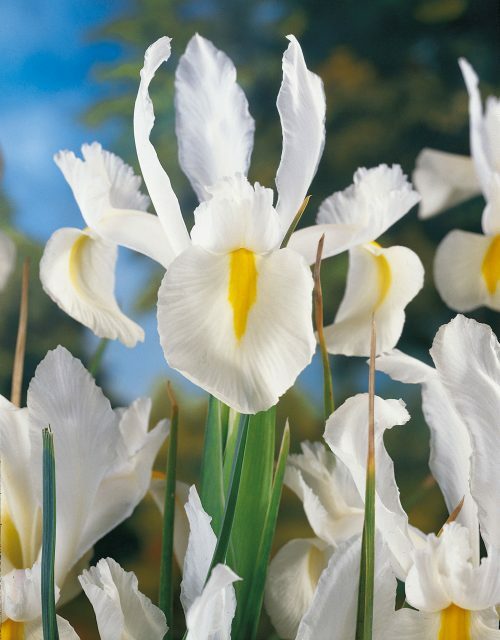 In 3-5 years, when flowering begins to diminish, lift the clumps of bulbs during dormancy. Remove and replant the “bulblets” that form along mature bulbs. 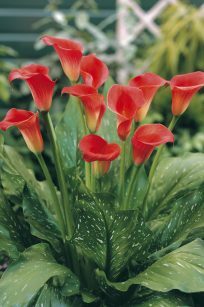 Brilliant, fiery red blooms with thick waxy petals surrounded by light green long, knife-shaped speckled foliage best describe Bloomsz Red Sox Calla Bulbs. “Calla” is derived from the Greek word for “beautiful,” and these single blooms that stand tall and stately on strong stems are definitely beautiful. Simple and stunning while elegant and sophisticated, each true red flower is a symbol of love and attraction. Perfect clustered together and tied with a simple ribbon or presented as a single flower in a cut-glass vase. Prolific bloomers in vibrant colors, Ranunculus asiaticus will put on a show no matter where they’re grown. Parsley-like foliage forms mounds from which strong, straight stems emerge. 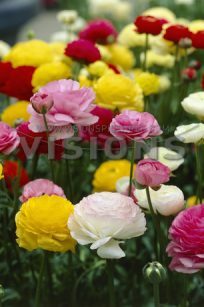 Cup-shaped, poppy like flowers with tightly-clustered petals bloom in shades of bright red, pink, purple, white, or yellow. 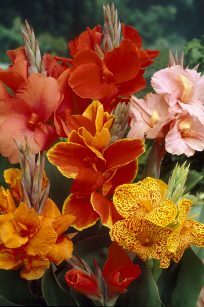 Feel free cut them and bring them indoors, as this will encourage more flowering.